My chapter with Chiara Diana (Université Libre de Bruxelles) is now published in Kristen Cheney and Aviva Sienrvo’s “Disadvantaged Childhoods and Humanitarian Interventions”, Palgrave MacMillan, 2019. Look it up! 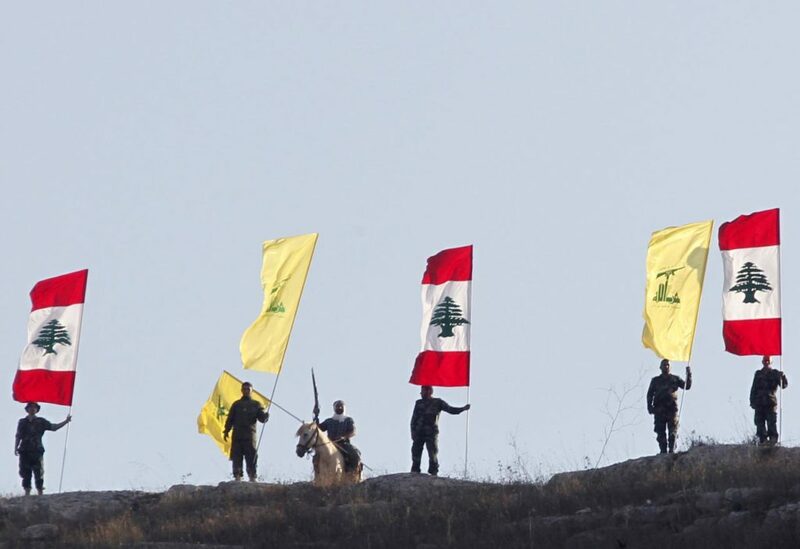 In the wake of the massive human displacement from Syria (2011–), some international NGOs (INGOs) have intervened in Lebanon to prevent Lebanese and Syrian youth from “radicalizing” and joining armed groups. In the framework of international humanitarian assistance within the “Global South,” while refugee adults are expected to become self-reliant, children and youth are often addressed as objects of universal concern and rarely as aware subjects of decision-making. Drawing on interviews conducted between Spring 2015 and Autumn 2016 with INGO workers and child players and their parents, we consider INGO play activities in contexts where political violence is widespread and longstanding, such as the Tripoli governorate in northern Lebanon. This chapter first aims to unpack the INGO discourse on children’s vulnerability. Second, we analyze INGO discourses and practices in a bid to critically examine the humanitarian and developmental attempts at providing politically neutral spaces for refugee and local children. We therefore build a threefold analysis focusing on the dehistoricization of political violence in the Arab Levant, the employment of the “Sport for Development” formula as a path to social cohesion, and the weak cultural literacy of INGOs in regard to contextual adult-child relations. Thereby, we argue that while INGOs tend to commodify the child as an a priori humanitarian victim, the international assistance community should rather strive to provide children with alternate avenues for political engagement in order to counter war recruitment. This piece is posted as part of the blog series, Thinking through the Global South. You can read the series here. In this blog post Dr Estella Carpi examines the impact of the structural relationships between the Global North and Global South and puts forward the concept of ‘Southism’. This term is used to describe the unequal power relations, practices and belief systems that enable Northern humanitarian actors and organisations to assume a right to care for, rescue and assist Global South settings and people that it preconceives to be disempowered and incapable. Dr Carpi also examines how “epistemic failure”, and “material discrimination” influence and shape the encounters between humanitarian providers and their beneficiaries and suggests a ‘geography-free’ approach to enable us to critically question geographies of birth and national passports as assumed sole identifiers of power. This piece was posted on the 23rd January, 2019. In my chapter for the Routledge Handbook of South-South Relations, I sought to uncover the multifaceted power relations that underpin the ways that humanitarian practitioners lead their lives and encounter and think about local residents, governors, infrastructure, providers and refugee groups in the context of Lebanon’s humanitarian crises. My contribution, ‘The “Need to Be There”: North-South Encounters and Imaginations in the Humanitarian Economy’ also seeks to explore how the so-called international community of humanitarian practitioners is perceived by local and refugee populations. My chapter specifically considers the Lebanese humanitarian provision systems in place during the Israel-Lebanon July 2006 war and in response to the Syrian refugee influx into Lebanon from 2011. In these settings, it can be argued that there is a relationship between aid providers and recipients that cements the Global South as the key source of the Global North’s empowerment, accountability and capability to develop and assist vulnerable settings and people. This is a relationship that I explore in more detail below. Aiming to problematise ethnic and political geographies within this context of provider-recipient power relations, my chapter suggests the concept of Southism as an analytical tool. The complex role of international and local aid workers in crisis-driven transnational labour, and the ad hoc relevance of nationality within humanitarian economies, demonstrates to interrelated dynamics: on the one hand, the paternalistic behaviour of the humanitarian apparatus which deems itself as “necessary” in areas of need and, on the other hand, the complex relationships that exist between local, regional and international NGOs. For some displaced people I had the chance to speak to in Lebanon, these provider-recipient power relations seemingly form a homogenous arm of governance unable to either empathize with them or enact solidarity. It is in this articulated context that I explore North-South actual encounters and perceptions within the humanitarian economy. My field research in Lebanon between 2011 and 2013 pointed to a tension between the philanthropic spirit of the humanitarian system, and local and refugee responses to the “Southist” intent. This Southist intent of the Northern humanitarian system to care for, rescue, upgrade and assist settings in the Global South combines personal affection and collective compassion with professional aspirations. By using the concept of Southism, I intend to resonate with Gayatri Spivak’s “monumentalization of the margins”, that is the overemphasis of needs and areas of need exclusively in the Global South. As such, Southism indicates a structural relationship, rather than a mere act of assisting the South with a philanthropic spirit. Specifically, it preconceives the South as disempowered and incapable. To examine these concepts further, in my chapter I identify “epistemic failure” and “material discrimination” as key issues that influence and shape the encounters between humanitarian providers and their beneficiaries, and the latter’s perceptions of the former. Epistemic failure, or the failure of the humanitarian system to accumulate local knowledge concerning the cultures, languages and capacities of the areas of intervention exists at the same time as valuing the geographic diversification of professional experience and the standardization of operational skills. This creates a problematic disconnection between humanitarian practices and lifestyles on the one hand and aid recipients on the other. In turn, material discrimination refers to the different pay-scales set up for local and international staff, heavily disadvantaging the former. In addition, I propose that “humanitarian tourism”, “politics of blame” and the “betrayal of the international community” represent local and refugee perceptions of global humanitarian worldviews, ways of being and lifestyles. “Humanitarian tourism’ represents the temporary as well as voyeuristic international interest in crisis-stricken settings. There is also a humanitarian tendency to blame local staff, infrastructure and politics for operational failures: “the politics of blame”. Lastly, “the betrayal of the international community” refers to the moral wound felt by forcibly displaced people who denounce the fictitious intervention of the international community and its inability or unwillingness to eradicate injustice and the very causes of crisis. The humanitarian approaches to thinking about and assisting the needy that I discuss in my chapter relate to disparate sides of the world and, therefore, it questions geographies of birth and national passports as a priori sole identifiers of power. The global humanitarian way of being that I explore in Lebanon’s humanitarian crises is also about the social class and economic status of aid workers, and their own freedom to move inside (and away from) vulnerable areas and opt for educational and professional migration. From this perspective, I strive towards a geography-free interpretation of Southism. While passports and nationalities still prove their efficaciousness in times of risk, my research in Lebanon has rather aimed to identify comfort zones which protect social statuses, ease and privilege across passports. The hegemonic culture which underpins the “NGOization” of postcolonial settings, on the one hand, can sometimes be adopted regardless of the geographic context of its primary actors. On the other hand, an exploration of hegemonic culture can unearth the organisational and individual ethics of international and local practitioners in approaching southern settings affected by crisis. This geography-free approach helps to highlight and critically examine the “too-easy West-and-the-rest polarizations sometimes rampant in colonial and postcolonial discourse studies”. To understand the contextuality of humanitarian action and its impact on societies, we therefore need a flexible geography of Southism, which disappears when irrelevant and re-emerges when able to uncover the ad hoc performative roles of nationality. Nonetheless, in my chapter I limit myself to showing some of the moral and material implications of Southism. After all, the feelings, intentions and aspirations which often underlie the humanitarian career make such Southism not a matter which can be straightforwardly addressed in the short term. Humanitarian actors’ tendency to believe that, whenever a new emergency breaks out, Lebanon – like other “fragile states” – would collapse without international humanitarian help is a belief that requires longstanding cultural intervention. As I affirm in my chapter, “Southism does not merely make the Global South, or Southern elements in the North, its special place – as Edward Said does with the Orient – but it is, rather, employed by Northern and Southern actors to reassert, solidify and legitimise the Northern humanitarian presence and actions”. As long as the very aim remains the politico-pragmatic role and the moral survival of the Global North, “polycentric forms of knowledge, politics and practice” – as stated by Fiddian-Qasmiyeh and Daley in the introduction– are unlikely to emerge and produce tangible transformations. My contribution, in line with the other 30 chapters of the Handbook, has attempted to prompt critical framings of everyday political geographies that form our material lives, actions, and conceptual referents. This extract from Dr Carpi’s chapter in The Handbook of South-South Relations, edited by Elena Fiddian-Qasmiyeh and Patricia Daley, has been slightly edited for the purposes of this blog post. For more information about the Handbook, see here, and for other pieces published as part of the Southern Responses blog series on Thinking through the Global South, click here. Conceptualising the South and South-South Encounters – in this extract from their introduction to the new book, Handbook of South-South Relations, Prof. Elena Fiddian-Qasmiyeh and Prof. Patricia Daley explore different ways of conceptualising and studying ‘the global South’ and diverse encounters that take place across and between diversely positioned people and institutions around the world. Histories and spaces of Southern-led responses to displacement – In this blog post Prof. Elena Fiddian-Qasmiyeh highlights the need for the analyses of local responses to be more attentive to the longstanding history of diverse “local/Southern” actors and examines the ways in which Southern-led responses can work alongside, or explicitly challenge, Northern-led responses to displacement. Empires of Inclusion – In this post Dr Estella Carpi explores the implications of the concept and process of ‘inclusion’ in relation to South-South Cooperation. The Localisation of Aid and Southern-led Responses to Displacement: Beyond instrumentalising local actors – In this blog Dr Elena Fiddian-Qasmiyeh examines a number of questions relating to recent action by international humanitarian actors responding to displacement and the new impetus to localise aid by engaging with ‘local’ actors in and from the global South. I have contributed to the Routledge Handbook of South-South Relations, edited by Elena Fiddian-Qasmiyeh and Patricia Daley (2018), which has just been published! The edited volume collects an important number of critical contributions which question contemporary political geographies of Global North and Global South. Here below you can read the abstract of my chapter which focuses on my work on humanitarianism in Lebanon. Based on ethnographic research conducted in Beirut’s southern suburbs (Dahiye) and northern Lebanon (Akkar) between 2011 and 2013, this chapter advances a critical reflection on humanitarian lifeworlds in Lebanon and their encounters with war-stricken local citizens and refugees. Defining Southism as a structural relationship that cements the ‘global South’ as the key symbolic capital of Northern empowerment, accountability and capability, the chapter discusses the attitudes and thinking that have characterised the Lebanese humanitarian economy during the Israel–Lebanon July 2006 war and the Syrian refugee influx into Lebanon from 2011. While it defines ‘epistemic failure’ and ‘material discrimination’ as the actual encounters between humanitarian providers and their beneficiaries, this chapter proposes that ‘humanitarian tourism’, ‘politics of blame’, and the ‘betrayal of the international community’ represent the local and refugee imaginary encounters with global humanitarian lifeworlds. With the purpose of problematising ethnic and political geographies in provider–recipient power relations, it finally theorises a de-geographicised notion of Southism that can better capture the complex role of international and local humanitarian workers in crisis settings, as well as the ad hoc relevance of nationality within humanitarian economies. You can access here my review of Lucy Mayblin’s book “Asylum after Empire. Colonial Legacies in the Politics of Asylum Seeking” on Refuge 34(2): 158-160. In November 2018, Dr Estella Carpi from the Southern Responses to Displacement research team took part in “Working Together: Human Rights, the Sustainable Development Goals and Gender Equality,” a workshop held at the British Academy to launch a report of the same title. In this post, Dr Estella Carpi reflects on the workshop and the report, which focuses on the need for the human rights and SDG frameworks to work together in a bid to take steps towards achieving substantive gender equality. In this regard, the Southern Responses project is examining how principles and motivations differ in various models of care, development, advocacy and protection across the global North and the global South, and how ‘northern’ approaches have historically overshadowed alternative frameworks to overcome diverse structural barriers and inequalities. This blog was posted on the 27 November 2018. Over the last decade, international humanitarian agencies have endeavoured to develop effective ways to localise their practices of intervention in areas receiving forced migrants or stricken by conflict or disasters. ‘Localisation’ is an umbrella term referring to all approaches to working with local actors, and includes ‘locally-led’ projects which refers specifically to “work that originates with local actors or is designed to support locally emerging initiatives” (Wall 2016). Local-international partnerships have received much rhetorical attention as a more acceptable face of the humanitarian programming designed in the global North. Nonetheless, there is evidence that northern funding and organisational structures still give preference to implementers from the global north (Ramalingman, Gray and Cerruti 2012). In this framework, the middle space, spanning from international donors to local implementers, is of crucial importance in shaping decision-making processes related to humanitarian funding, practices and policies. In this framework, I would like to advance my considerations on the international humanitarian system that presently places special emphasis on the role of intermediaries in crisis-stricken settings, or contexts that are proxies to crisis. On November 14 2018 I participated in a roundtable organised by the Overseas Development Institute which aimed to evaluate the role of intermediaries in humanitarianism. In this context, several London-based humanitarian professionals expressed the need to define the role of the intermediary figure in humanitarian action, and to rely on the latter’s support to access local and refugee communities in the targeted areas. By contrast, academic literature which seeks to map such a ‘middle space’ is scant (Kraft and Smith 2018). Based on these observations, what are humanitarian actors trying to bypass, remove, enhance or achieve by emphasising the importance of intermediaries in their sector? With the following considerations, I intend to shed light on how intermediaries may be problematically employed as a shortcut to localisation and as a logistic facilitation strategy to not further contextualise policies and practices which are often designed in the so-called global North. The first observation I would like to make is related to the layered social identity of intermediaries. Indeed, it is a common belief that intermediaries are mostly local or regional residents with strong connections and networks in the areas targeted by humanitarian programmes. If the line of separation between the ‘international’ and the ‘local’ is unavoidably blurred, it is important to note that some segments of local middle classes – generally those employed in the humanitarian system to manage crisis – are as unfamiliar with other social strata of their own country as many international workers with whom they share common lifestyle standards. As a result, from a relational and emotional perspective, some local professionals may not necessarily be any closer to the people they address. At the same time, however, intermediaries are believed to be well placed to manage local politics, such as corruption, inefficiency or reluctance to comply with external norms and requests. Can such a social figure ever exist? 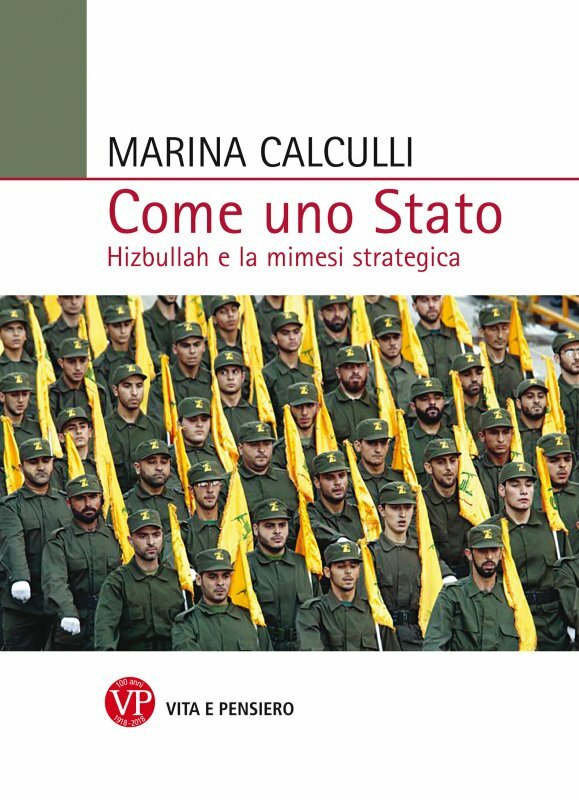 In this respect, the research I conducted from 2011 to late 2013 in Lebanon (Carpi 2015) demonstrates a promiscuous intentionality of the international humanitarian apparatus: on the one hand, the desire to avoid local politics and its discontents, but, on the other, the need to rely on intermediary figures who are able to prepare beneficiary lists and can provide contextual knowledge to enable humanitarian actors to rapidly and safely access local and refugee groups. However, as my research has shown, by doing so international humanitarian agencies often end up recognising local authorities as key actors of the humanitarian machine. In my field experience, the moral impact of what I may call an ‘unintended alliance’ between humanitarian internationals and local gatekeepers was particularly relevant when local residents and refugees expressed their desire to get rid of intermediary figures operating between them, the humanitarian system and the central government. Intermediary roles were predominantly covered by local state officials and delegates (makhatir and mandubin respectively) and other local informal leaders (zu‘ama’). In sum, the necessary entrance of formal and informal local authorities into the international humanitarian labour chain produced a substantial impact on humanitarian workers who must deal with local politics and its contextual configuration. The second issue that I would like to analyse is the excess of intermediaries in the contemporary humanitarian sphere. Looking at the intermediary role as a relational and performative process rather than a clear-cut sociological mission, it is possible to identify unorthodox configurations of “intermediariness”. Even though it is mainly conceived as local actors, –networks, individuals, diaspora groups or formal organisations that occupy the middle space between initial donors and final implementers, intermediaries can sometimes be epitomised by INGOs and UN agencies. For instance, the humanitarian corridors that currently take Syrian refugees from Lebanon to Italy and France across the Mediterranean are a suitable case in point. As a local aid worker recounted in an interview in Beirut in March 2017, in order to retrieve personal data and carry out an initial selection of the refugee groups who better suit the Italian and the French labour markets, the INGOs in charge of organising the humanitarian corridors rely, in turn, on other INGOs and UN agencies that can provide them with a contact database. This modality of selection is believed to avoid a costly and time-consuming door-to-door strategy. In this case, needs assessment is viewed as a bureaucratic hurdle rather than an effective way of identifying needs and protection and their changing nature. Likewise, another aid practitioner working for an INGO in a village of northern Lebanon affirmed that individual and family eligibility to cash transfers was determined through the UNHCR central database, rather than independent field visits and assessments (interview in Halba, February 2017). These two anecdotes show how intermediaries operating in the humanitarian middle space are at times excessive. My third observation concerns bureaucracy. Enhancing and institutionalising the role of intermediaries may sort out the difficulty of pinning down sociological figures in changing contexts and of managing institutional trust versus informal society. By this token, we may think that the role of intermediaries should therefore be professionalised. However, the institutionalisation of the intermediary role might instead add complexity and slow down the already hyper-bureaucratised system of international humanitarianism and development. The same system has long been accused of being poorly responsive to context-sensitive needs (Belloni 2005) and de-humanising war and disaster victims (Pandolfi 2002). In this regard, Lebanon offers the meaningful example of the Municipal Support Assistant (MSA). This professional figure, appointed by local municipalities, has been created to work with local authorities and international humanitarian actors and acts as a local government administrative assistant. In the case of Lebanon, the MSA needs to be fluent in Arabic and English to be able to develop double communication strategies. As a municipality representative of Sahel az-Zahrani reported in a 2016 study conducted by UN-Habitat and the American University of Beirut, the MSA has presumably been created to enhance coordination between the local and the humanitarian systems of governance (Boustani, Carpi, Hayat and Moura 2016). However, considering the formal ways of working that the MSA needs to comply with, bureaucratic impediments are practically enhanced. In other words, if bureaucracy is enhanced to achieve greater coordination, I would be wary to believe that actual coordination can soon see the light. The very aims of the ongoing efforts towards an “intermediary-sation” of humanitarian action need to be clearly motivated and contextualised. From a personal perspective, considering the provisional presence of many international humanitarians and researchers in the areas where crisis management is needed, we continue missing historical continuity. Short field visits are in fact unlikely to trace the local history of human relations, contextual power dynamics and assistance mechanisms. Should the international humanitarian system not find the radical determination to develop physical and moral proximity towards the populations it endeavours to serve, I hence envision intermediaries only as everyday researchers who conduct “reality checks” whenever accurate humanitarian assessments of outreach, programming, policies and local specificities are needed. Belloni, Roberto (2005) Is Humanitarianism Part of the Problem? Nine Theses. John F. Kennedy School of Government, Harvard University, Boston, MA. Boustani, Marwa, Carpi, Estella, Hayat Gebara, and Mourad Yara (2016) Responding to the Syrian Crisis in Lebanon. Collaboration between Aid Agencies and Local Governance Structures. London: IIED Urban Crisis report. Carpi, Estella (2015) Adhocratic Humanitarianisms and Ageing Emergencies in Lebanon. From the July 2006 War in Beirut’s Southern Suburbs to the Syrian Refugee Influx in the Akkar Villages. PhD dissertation, University of Sydney (Australia). Kraft, Kathryn and Smith, Jonathan D. (2018) “Between International Donors and Local Faith Communities: Intermediaries in Humanitarian Assistance to Syrian Refugees in Jordan and Lebanon”, Disasters. Pandolfi, Mariella (2002) “’Moral Entrepreneurs’, Souverenaités Mouvantes et Barbelés: le Bio-Politique dans le Balkans Postcommunistes”, in Politiques Jeux d’Espaces, ed. Pandolfi, M. and Abélès, M., special issue, Anthropologie et Sociétés, Vol. 26, No. 1, pp. 29-50. Ramalingam, Ben, Gray, Bill, and Cerruti, Giorgia (2012) Missed Opportunities: The Case for Strengthening National and Local Partnership-Based Humanitarian Responses, Christian Aid, CAFOD, Oxfam, Tearfund, and Action Aid. Wall, Imogen with Hedlund, Kerren (2016) Localisation and Locally-Led Crisis Response: A Literature Review, Swiss Agency for Development and Cooperation.